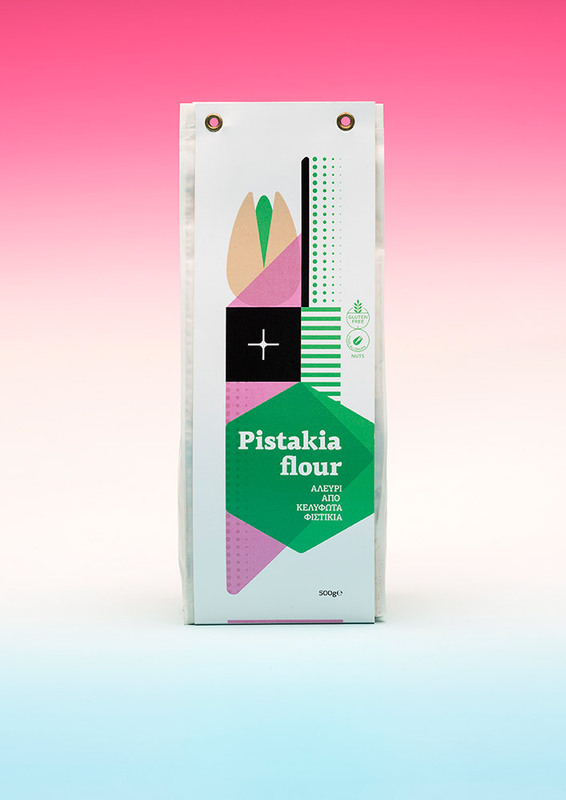 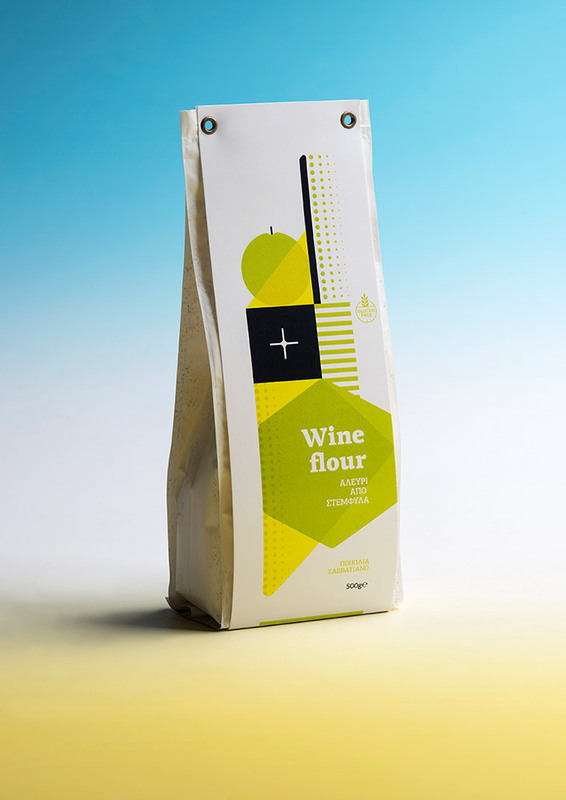 Packaging series for flours by pistachios and grape marc. 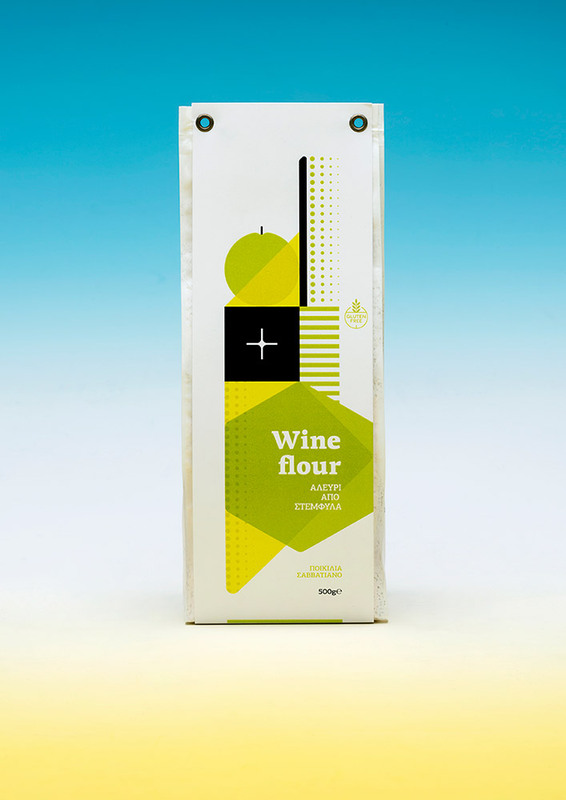 We used simple geometric shapes and solid intense colors in order to make this packaging series have a strong impact. 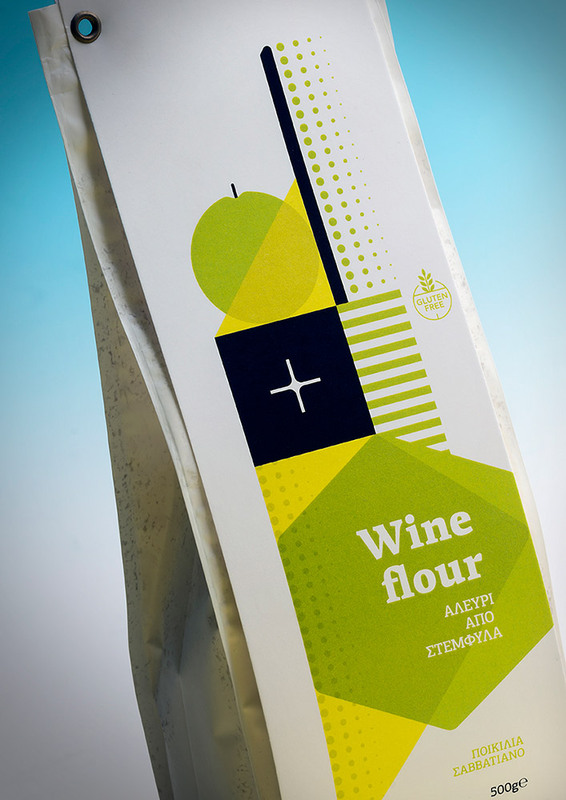 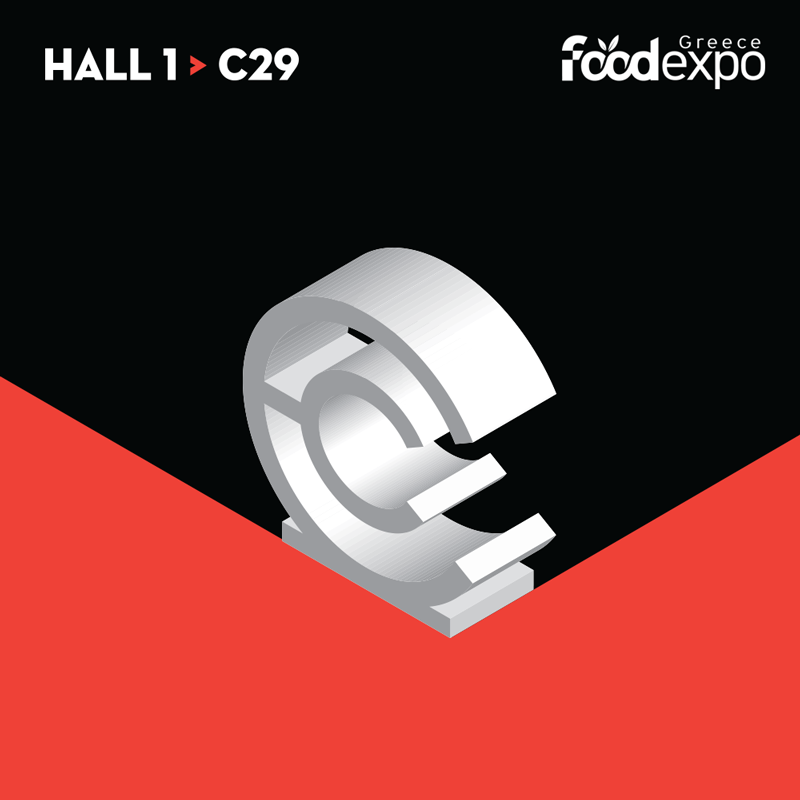 The final outcome should be significant as the products made and proposed by start-up company “ΕλληνFood” are unique in the market. 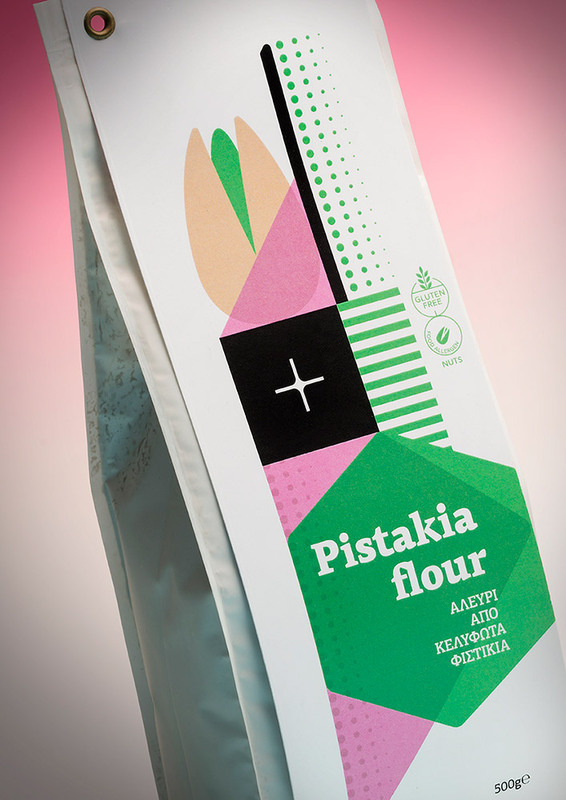 The newly established enterprise aims at developing innovative products which will exploit untapped resources of the rich Greek flora, within a highly efficient environment that will ensure the satisfaction of the customers and profitability. 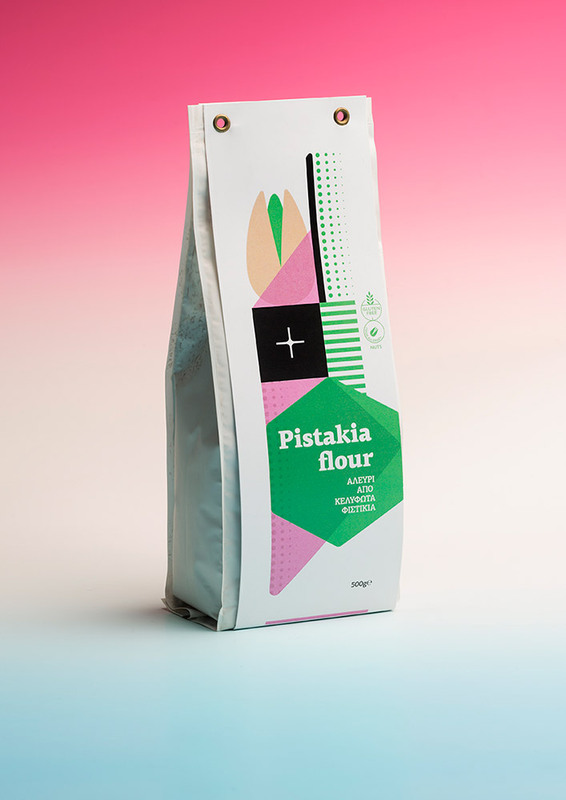 Τhe proposal won the first prize at the ΙnnovInAgri hosted by the Agricultural University of Athens.